One thing I enjoy doing is baking. Baking from mixes is especially fun and EASY! The holidays are a time I think when we tend to bake more than usual. Well, most of us perhaps. I bake anytime and all year round as we love having bake stuff for deserts. Some mixes like those from The Invisible Chef can really make you look like a great baker! 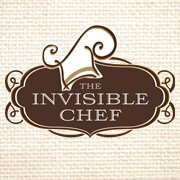 With The Invisible Chef, they start by using the very best ingredients, and offer flavor combinations that include classic standbys that everyone loves as well as unique offerings for the sophisticated chef in all of us. Their mixes are so easy to make, each takes a few basic ingredients...from the box to the oven, to the table in just minutes. Just a few great mixes from their collection! So if your looking for easy and tasty bake mixes for your holiday baking, try The Invisible Chef! The entrant can be from Canada or the USA. Random draw from Random.org on December 3, 2017. Tell us what is your favorite baking category- based on the choices of mixes on their site- The Invisible Chef. I'm going to have to go with Cupcakes (limoncello, yum). My favourite baking category is donuts & muffins. Brownies,Blondies and Bars for me! I like too many of them. Tea cakes or quick breads if I have to pick. I like the Blondies, Brownies & Bars section my favourite. My favourite baking category is Brownies, Blondies and Bars. My favourite baking category is Brownies, Blondies & Bars. My favorite is the Blondies, Brownies & Bars! My favourite category is scones. The FRENCH BREAKFAST PUFFS CINNAMON SUGAR DONUT MUFFIN MIX sound decadent.